How long do dental crowns last? There is no exact answer to this question. A dental crown that is properly installed, made with appropriate materials, by a highly experienced dentist, and given proper care and maintenance, should last for many, many years. But, as with most things, dental crowns are not perfect. Thus, it’s important to know the factors that determine the longevity of dental crowns. Your trusted dentist in Toorak at Simply Smiles Dental will help you identify some of these factors. As you can see, based on the list, there are many factors to consider when it comes to determining just how long the crown will last. Some insurance companies will pay for the replacement of the crown if a failure occurs between 5 to 8 years. This leads many dental professionals to state that a dental crown should last from 5 to 15 years. This helps to avoid misleading the patients into thinking that their replacement teeth are going to last forever. On the other hand, studies show that when dental crowns are used for a certain dental problem, if manufactured well, installed properly by an expert dentist and well maintained, they can last for decades or indefinitely. 25 years – the success rates was 85% (1, 989 out of 2,340 dental crowns that lasted for more than 25 years. These statistics show that with proper materials, expert installation and care, chances for dental crown’s long-term success is very high. At Simply Smiles Dental, we employ only the most modern technology available and use the highest standards and latest techniques when it comes to tooth replacements and other dental procedures. Rest assured that your trusted Toorak dentist will provide you with high-quality dental crowns that will last a long time. Our location is in Toorak Village, in the heart of Toorak, and serves patients from Toorak, South Yarra, Prahran, Windsor, Southbank, South Melbourne, Port Melbourne, Malvern, Albert Park, Melbourne CBD, and other metro areas. We are a Medibank and HCF Members Choice Dentist. 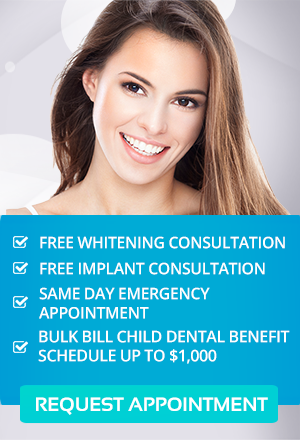 Contact us on (03) 9826 2220 or simply book your appointment online today!